It’s official. An EV, the Chevy Bolt, has been named North American Car of the Year at the Detroit Auto Show; the altar of internal combustion. That’s a nod to the widespread adoption of EVs that is gaining momentum as fast as Dominic Toreto’s 1970 hemi-powered Dodge Charger. Last year, 159,000 EVs were sold in the United States, an impressive 38% increase over 2015. That’s a whole lot of electric vehicles needing to be charged up to hit the road. Which begs the question – are electric utilities up to the challenge? Consider that a single EV plugged into a Level 2 charger can actually double a home’s peak electricity demand. In this article, we look at how utilities have been working with regulators & other parties to accelerate infrastructure growth – and without compromising the grid. Utilities are evaluating the electric car as a welcome profit opportunity. 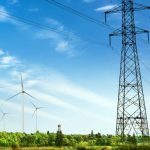 For many years, utilities have been struggling with sluggish growth, especially in the face of alternative greener power (such as solar and windfarms), and energy conservation efforts (such as installing LED lightbulbs). Electric vehicles are reviving demand for electricity, and provoking conversations about load. Recent research by Bloomberg New Energy Finance (BNEF) predicts that private EV ownership will go head-to-head with internal combustion vehicles by the mid-2020s – even earlier where fleets are concerned. Naturally, California is leading the way, with Governor Jerry Brown wanting to put 1.5 million zero emission vehicles (ZEV) on the road by 2025. The California Public Utilities Commission (CPUC) recently approved proposals from investor-owned utilities to invest ratepayer dollars in EV charging infrastructure. The state had initially banned utilities from investing in EV infrastructure, citing concerns about ensuring a competitive market, but the growing need to accelerate EV adoption in order to meet state deadlines reversed this decision. The initial proposals from investor-owned utilities Pacific Gas and Electric (PG&E), Southern California Edison (SCE) and San Diego Gas and Electric (SDG&E) were deemed too ambitious and turned down. Now, PG&E has been approved for a hybrid ownership program for 7,500 EV charging stations at $130 million. Likewise, SCE is building out a 1,500 site, $22 million pilot where hosts will own the charging stations. And SDG&E was approved for a 3,500 site, $45 million pilot of utility-owned chargers. Other states are joining in, with varying levels of success. Oregon’s recent proposal to have utilities fund charging stations was met with controversy. Similar to California, there was concern about passing on the costs of building charging infrastructure to customers. In March of 2016, the Oregon legislature passed a bill to have the Oregon Public Utility Commission (OPUC) request state utilities submit proposals to accelerate electrification. The bill calls for investments or rebates for EV charging and related infrastructure. Over in New Hampshire, things got heated when Liberty Utilities filed for permission for station owners to resell power at charging stations. The New Hampshire Public Utilities Commission ordered a staff inquiry into the legal and regulatory issues of resale of electricity at EV charging stations. New Hampshire regulators are now considering how charging stations operate, and will decide whether distribution utility tariffs should be changed. According to the Division of Motor Vehicles, there are currently 1,014 EVs and 7,032 hybrid-electric vehicles registered in New Hampshire. But it’s not enough just to provide charging for electric vehicles – the charging points need to be strategically located. Avista, an investor-owned utility which serves Idaho and eastern Washington, is rolling out a charging program targeting 272 port installations over two years. There are 400 customers driving EVs, mostly in western Washington and Puget Sound. Their philosophy is that charging locations should be within short walking distance of an amenity valued by the driver, depending on how long it will take to charge. For example, a DC fast charger should be near coffee shops, but public Level 2 chargers should be near attractions like restaurants or parks. The utility looks at several aspects of potential charge sites for assessment, such as whether the host will be engaged and an active partner, as well as proximity to electricity. Kansas City Power & Light (KCP&L) launched their EV charging rollout in January of 2015, providing two years of free “gas.” Over 18 months, they went from 50 EV drivers to 1,200, a 39 percent increase and a United States record. There are 7,000 charging stations at grocery stores and big box retailers, of which 700 are public. KCP&L has also recruited a group of EV “ambassadors” to answer questions and advocate for EV ownership. Of course, electric cars are more than just an emissions-free transportation vehicle. EV battery storage may become the solution to peak demand challenges. A CPUC Vehicle-Grid white paper notes that soon, net load will decrease at mid-day and increase in the evening, requiring a quick response from the grid. These load needs have been nicknamed the “duck curve,” since the theoretical graph resembles a duck. The belly of the duck curve is growing larger, meaning the ramp is steeper and requires faster ramping services. The “duck curve” shows how load is growing into the future. Since EVs plugged into smart charging stations are a flexible load, utilities can use them to better manage the “duck.” EVs can therefore take pressure off the system by making the size of the ramp smaller. Ultimately, this serves to increase the EV value proposition by increasing sales and provide more opportunity for private sector EV charging station providers. But the question remains – does this compromise competition? What do the regulators say? A paper by the Rocky Mountain Institute (RMI) found that regulators and policymakers must ensure EVs benefit ratepayers, utilities and the grid. It’s the regulators’ job to develop means of setting rates, develop rules for siting of the charging infrastructure, and best use EV batteries as a market resource. Although utilities are best suited to deploy the initial network of charging stations, should utilities work with the private sector and other public entities to accelerate growth? That’s something else for the regulators to chew on. Trojan horse of energy literacy? Then there’s the whole marketing and branding aspect of this new-ish role for utilities. They may also benefit from EVs making them more noticeable and engaging to consumers. That can only be to the utility sector’s advantage, since most consumers in the United States are not on use rates – which utilities need to manage demand. There’s a need to ensure EVs are charged at the best time for the system, and EVs could make for a more engaged dynamic, in effect, making them the Trojan horse of energy literacy. A greater awareness of home energy consumption can only help to unlock the demand side of potential consumers. That’s not just good for the utilities, but also good for the planet. Krystyna Lagowski is a Toronto based auto writer and blogger, who covers everything from business to consumer automotive issues. Her blog, drivelikeagirl.ca, examines the automotive world from a slightly irreverent point of view.